In manufacturing and warehousing, anything that disrupts the flow of business can throw the entire system out of alignment. This applies to pests. And it can also apply to the pest control service. Rocket Pest and Termite has worked closely with customers in manufacturing and warehousing to develop practices that fit precisely into the routine of their businesses. We use these practices and experience to custom tailor a program to your needs. Pests are kept out. Our approach to pest control includes proactive techniques and monitoring that help keep pest problems from getting started. 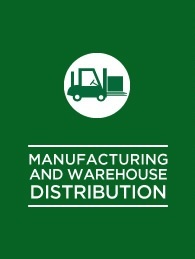 Given your manufacturing or distribution schedules, we can provide services that are most convenient for you, including after hours and weekends. Your business will have a healthier environment for you, your employees and your customers. You’ll experience fewer pest problems and pest related damages.